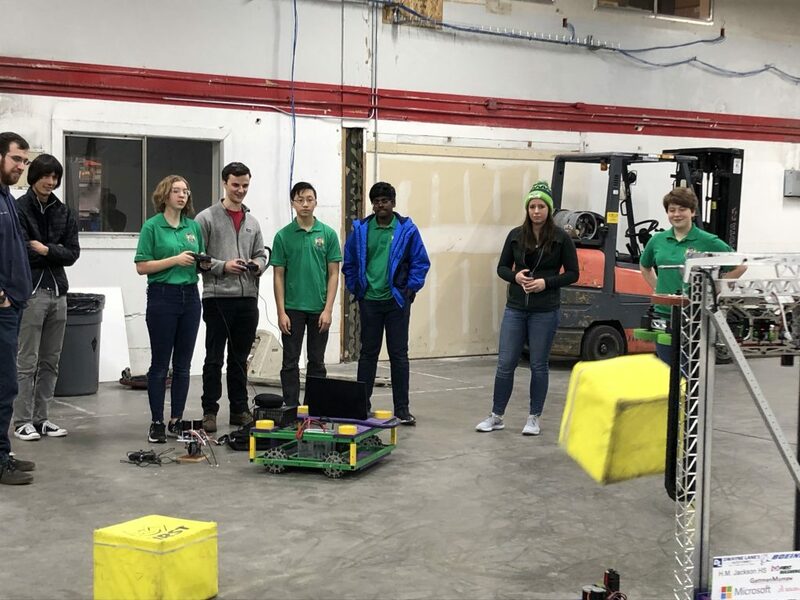 Our presentation team visited sponsor Electroimpact to talk about goals for the 2019 season, demonstrate our 2018 robot, Kayla, and take a plant tour. 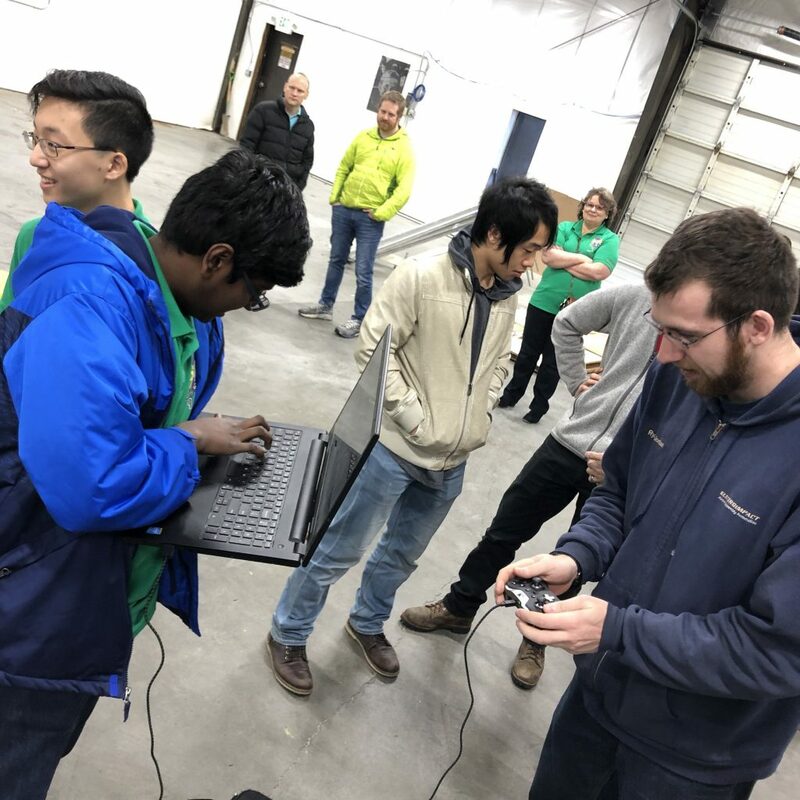 Several Electroimpact team members enjoyed driving the robot on the warehouse floor. Thanks to our hosts for their time and hospitality. Taking a closer look at Kayla. 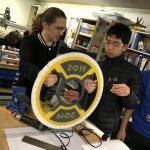 Checking out the drive controllers. Taking Kayla for a spin. 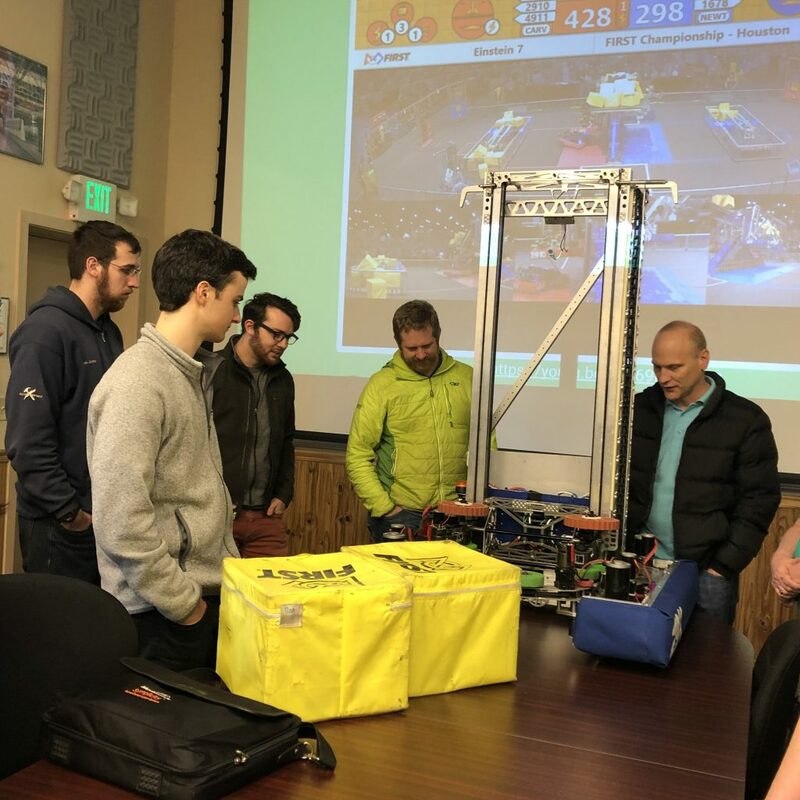 If you would like our presentation team to visit your company or organization, please contact coach Maggie Thorleifson at MThorleifson@EverettSD.org.